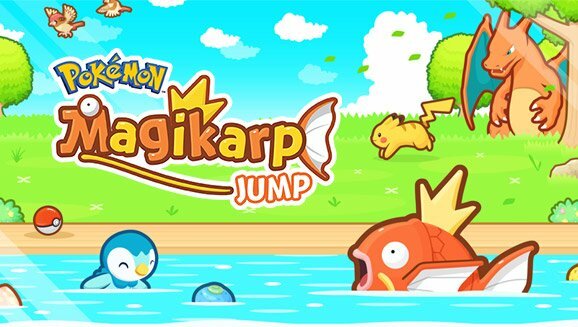 Pokemon: Magikarp Jump is a relatively new game, which silently landed in Google Play Store today. As the name itself suggests, the game completely revolves around probably the weakest Pokemon in the entire series- Magikarp, which is a fish to be precise. Initially, when the game begins, you will be assigned a trainer from the professor and your first assignment would be to grab a Magikarp by fishing. After adoping a Magikarp, the real game begins. Over the time passes, you have to grow the Magikarp and make it ready for battling. Wondering what's the battle will be? Well, here's the answer- Two trainers with Magikarp's will take the battle and the Magikarp which jumps to a maximum height would be the winner. Sounds odd, right? But, that's the game is all about. The game is already available globally for download from the Google Play Store. I suggest you don't waste your precious 53MB by downloading the Pokemon: Magikarp Jump.